Make Healthy Normal kicks off from today for an entire July at our library. It’s an initiative by four Western Sydney libraries in partnership with Western Sydney Local Health District. We’d like to promote healthy eating and active living. Small steps can make a big difference to your health, eg, choose smaller portions and less kilojoules, eat more fruit and veg, be active every day, make water your drink and sit less move more. Health & Wellbeing subject zone is the most popular read in the Library, so is Cooking zone. Here is a list of those books that will help you to make healthy normal. 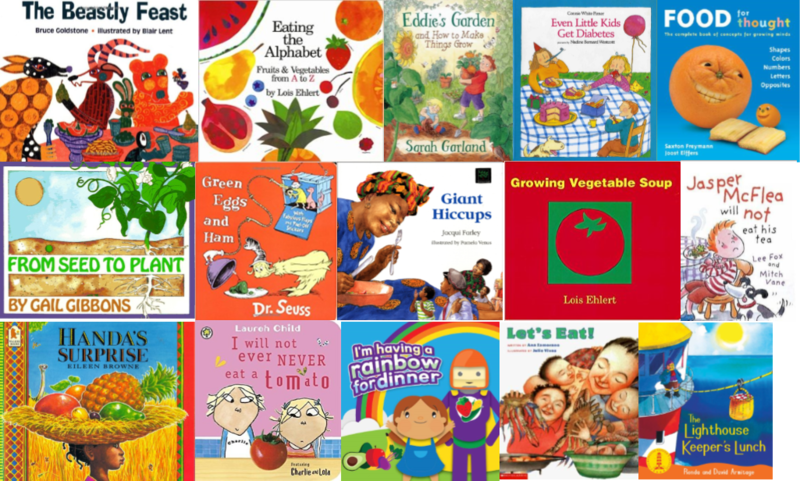 Books that written for kids that will encourage them to eat fruit & veg. This entry was posted in Non Fiction and tagged City of Parramatta Libraries, Make Healthy Normal, reading by admin. Bookmark the permalink.